Q: What inspired you to write "Counting Shadows"? A: I've always loved Epic Fantasy, whether I'm reading it or writing it. One day, about a year ago, I had this random thought of, "What if I took a bunch of Urban Fantasy creatures, and transferred them into an Epic Fantasy world?" And voila! "Counting Shadows" was born. Q: Is there ever going to be a romance between Lor and Faye? A: Perhaps. Faye will definitely end up in a serious relationship, as will Lor. But whether or not they'll end up together is a question only answered in the next book in the series. Q: Who is your favorite character to write in the "Duplicity" series? A: Cyrus, most definitely. Readers see very little of him in "Counting Shadows", but he plays a major role in the rest of the series. He's a Dragon/Fairy hybrid, who is slowly going insane, like all hybrids eventually do. He also happens to have a major crush on Lor. His insanity makes him a difficult character to write, but also an extremely fun one. Also, his history with Lor is so heartbreaking that it makes me wish Cyrus was a real person, just so I could give him a hug. Q: You're currently a high school student. How does your young age influence your writing? A: It really doesn't influence my writing very much. I go through the exact same process as any other author: drafting, rewrites, alpha readers, beta readers, line edits, ect. I try not to let my age get in the way of creating a good book, and I never use it as an excuse for my mistakes. 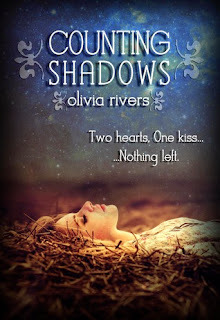 Q: Who did the cover for "Counting Shadows"? A: I do all my own covers. It's a time-consuming process, but I adore digital art, and I just love having control over this aspect of publishing. Q: What's the hardest part about being an author? A: For me, it's the first draft. I despise first drafts with a passion. They're so messy and bad and icky. I always celebrate when I finish a first draft, because I know the worst part is over, and I can have fun rewriting and editing. Q: What's your favorite part about being an author? A: My readers are by far my favorite part. It's the absolute best feeling in the world to have people contact me about my books. I've had people from practically every continent email me about my novels, and it's a wonderful feeling to know that my writing gives some people joy. Q: When will the next book in the "Duplicity" series be coming out? A: "Eluding Light", the second book of the "Duplicity" series, will be out March 2014. 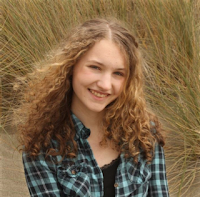 Olivia Rivers is the author of five novels, ranging in genres from Epic Fantasy to Contemporary Romance. Along with being a writer, she’s a freelance digital artist, a literary agent assistant, and a high school student. She’s a nerd at heart, and is a hopeless fan-girl for Doctor Who and Pokémon. Olivia lives in California with a dog who thinks he’s a cat, a cat who thinks he’s a dog, and a kitten who is just generally confused.